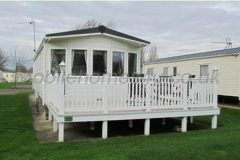 Hire a mobile home / static caravan in Hoburne Cotswold Holiday Park direct from the owner at lower cost. This is a Hoburne site located in the Cotswold Water Park, Cirencester, Gloucestershire. It is nestled away in the countryside with stunning surroundings allowing you to explore the true beauty of the Cotswolds, with plenty of footpaths and bike trails to explore. Browse through our private mobile homes in Hoburne Cotswold to find the one that is perfect for your ideal holiday. Hoburne Cotswolds Holiday Park is in Cirencester, Gloucestershire. Set within Cotswold Water Park in the stunning counrtyside the park boasts entertainment complex, restaurant, cafe, swimming pools, gym, sauna, tennis courts, crazy golf, play areas and multiple water sports on the lakes including pedaloes, canoeing, kayaking and fishing. Ideally located for exploring the charming Cotswold local towns, Cheltenham Horse Racing and Festival and Blenheim Palace. To enquire about hiring any of the static caravans in Hoburne Cotswold Holiday Park please contact the owner directly. You can also view more caravans in Gloucestershire by visiting our Gloucestershire caravans page.